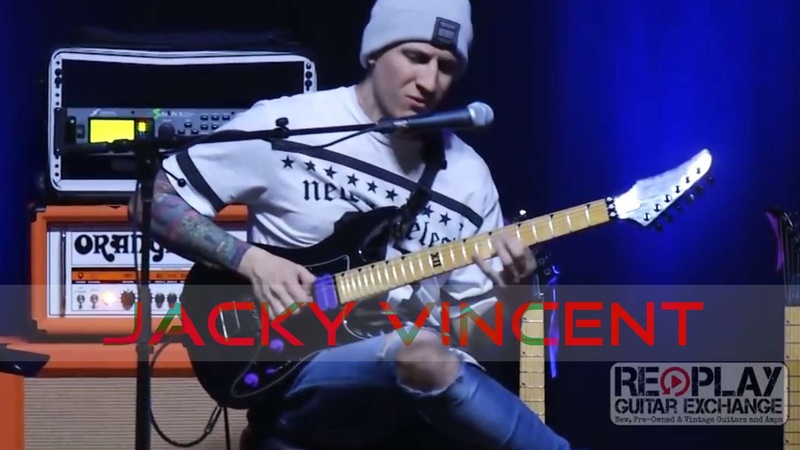 Jacky Vincent of Cry Venom performs a stellar clinic on the Replay Guitar Exchange Stage. Buy Sell Trade! We love trade-ins! Authorized Dealer for Fender Guitars and Amps, Gibson Acoustics/Electrics, Gibson Custom Shop, Martin, Taylor, Gretch, Guild, Epiphone, Ibanez, Schecter, Breedlove, Dean, Luna, Dr Z, Magnatone, Supro, Marshall, and much more.